Tocumen Airport (PTY) serves Panama City, and it is one of the main air transport hubs of Latin America. Flights come and go from Tocumen from all over Latin America. For those traveling to and from other parts of Central America to get to say, Brazil or Argentina, it’s more than likely that they will be transiting through Tocumen. Tocumen is also well serviced by US carriers from many key American cities, and also receives direct flights from Europe and Asia. It’s a large, world-class airport. Panama City also has another airport inside the old Canal Zone. Although it’s no longer called Allbrook Airport, after the old American air base that was there, that’s still the unofficial name that everyone uses. Allbrook is a domestic hub for local airlines, but it also receives international flights from both Costa Rica and Colombia. 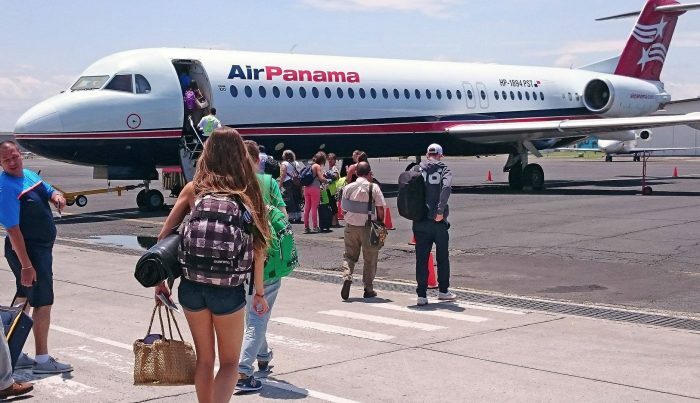 A third international airport also exists in the city of David, Panama’s principal city in the far west of the country close to the Costa Rican border. David Airport receives a flight from San Jose, Costa Rica a couple of times per week. So too does the Bocas del Toro Airport in the Bocas del Toro Islands on the Caribbean side of the country. There are three land borders in and out of Panama. All three borders are with Costa Rica. The Paso Canoas border is the main one, sitting on the InterAmerican highway. It’s a busy border and long lines are common. In the mountainous middle of the country, close to the town of Volcan, Panama, lies the Rio Sereno border. This is a little-used and easygoing place. On the Caribbean side is the Sixaola border which connects the Costa Rican province of Limon with the Bocas del Toro Islands. Indeed, until recent years, Bocas del Toro was more easily-accessed from Costa Rica than it was from the rest of Panama. That’s changed now since the road across the Continental Divide to David was completed in the early 2000s. At the other end of the country, there are no official border posts between Panama and Colombia. The impenetrable jungles of the Darien Gap get in the way and the road peters out long before you can even get close to the border. For those coming into Panama from Colombia, there is also the sea option. A ferry service runs from Panama to Colombia along the Caribbean side to Cartagena. The most fun way to do this is by yacht and the crossing takes a few days. For those who have the time (and the money), it’s a wonderful experience. Panama has a great infrastructure and is an easy country to get around. The roads have always been good because there was a time when the US Army needed them to get around. Sad but true. If a military force needs to get around they build good roads. That’s why Roman roads still exist to this day in parts of Europe. The main highway that spans the country from west to east is the Interamerican Highway. In Panama, that ranges from two to six lanes of smooth blacktop almost all the way. Most other roads in the country deviate from this, but you’ll spend the majority of your time on this highway when driving around. The one exception is, of course, heading north to Colon, Portobelo, or Isla Grande. Here you will be traveling along good roads that were once inside the US-run Canal Zone. Panama also has the oldest continuously-run railroad in the Western Hemisphere. The Panama Canal Railroad runs alongside the canal but precedes it by over half a century, opening up in 1855. 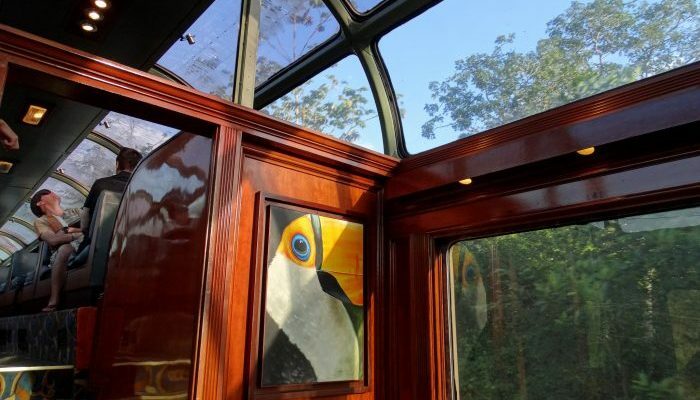 Now it’s considered one of the greatest railroad rides in the world. It offers spectacular rainforest views and vistas of ships passing through the Canal. As much as it is a tourist favorite, locals will use it to go about their regular business. 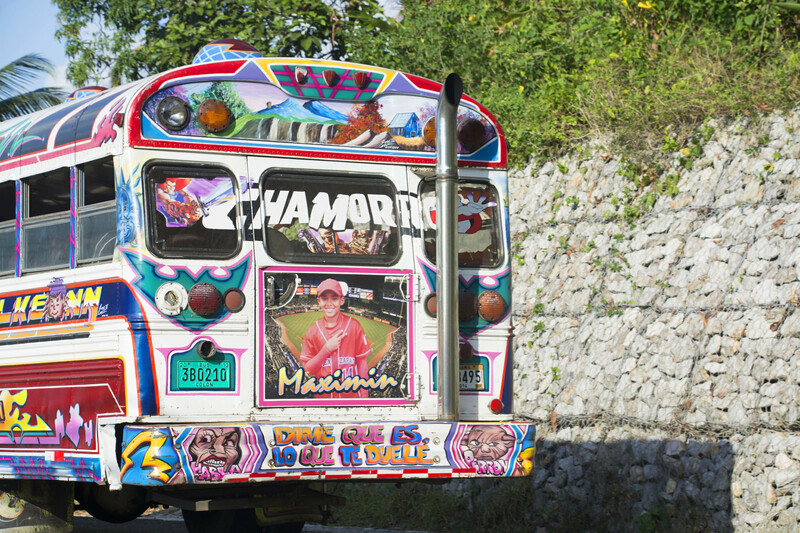 People still use it as a way to commute from Panama City to Colon on a daily basis. The bus system in Panama is cheap and reliable. Long distance buses are air-conditioned and comfy. Care should be taken for pickpockets on Panama City’s city buses, though. With much of Panama made up of mountains and jungle, the best way to travel long distances is by air. There are a couple of domestic airlines offering cheap services to airstrips all over the country, from jungle strips in the Darien to desert islands in the San Blas Archipelago. Panama is an easy country to fly around and many people do it. It’s not uncommon to find yourself sitting next to indigenous people in traditional dress while on a plane in Panama. There are also plenty of boat services. Taking a Panga through the jungle from village to village is a romantic way to get about. Nice ferries and boats also run from Panama City to various islands in Panama Bay where people still live and work. Panama City itself now has a subway system – another step towards that first world status – and a pretty efficient bus system too. Taxis are easy to find although many people nowadays use Uber instead. Like most cities around the world, you want to avoid driving in Panama City as much as possible. Traffic is horrendous and parking impossible. But driving is pleasurable and worth doing once you get outside of the city. The cost of living has gone up in Panama over the past 10 years or so, but it’s still a lot less than it would be in the US or elsewhere. One advantage of Panama is the fact that it uses the dollar. It has used the dollar since independence from Colombia – the first “dollarized” country outside of the US. This means that most foreigners and expats know exactly where they are with their expenses. It used to be that Panama City was a cheap place to rent in. Apartments were plentiful, more were being built all the time, and supply was better than demand. That’s all changed now. Apartments and condos are still going up at a rapid clip, but now demand out does supply and prices have risen. Also, the fact that Panama City is becoming a truly world-class center pushes prices up. We’re not talking New York City yet, but still..
Nowadays rents in Panama City aren’t cheap when you’re comparing them with the rest of Central America. You’re looking at around $700 to $900 per month for the cheapest places and way over $1,000 (closer to $2,000) for regular apartments. Compared to San Jose, Costa Rica, that’s a lot more. The good thing is that rent is the only thing that’s very expensive in Panama. Everything else is a lot cheaper. When it comes to going out to restaurants and bars, Panama City offers the widest range of all places in the region. A 75-cent beer in a local cantina or a $25 cocktail in one of the swankiest rooftop lounges in the city? It’s all a matter of perspective. 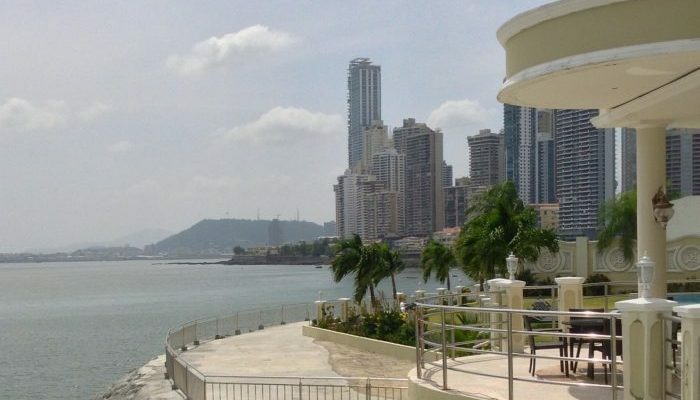 So what does it cost to live in Panama on average? You’re looking at around $2,000 per month on the low end of things, and the sky is the absolute limit on the high end of things. But for that $2K a month you can live a pretty good life in Panama without losing any of the little amenities you’re used to. Panama is another one of those countries that has a bad rep when it comes to safety. Many people think about the US invasion in 1989 and picture those images of Panama City on fire. It’s not an unnatural reaction by any means, but it’s an unnecessary one. The truth is that Panama is a safe country nowadays, especially Panama City itself. Of course, like any city, there are areas where one shouldn’t go. The El Chorillo area comes to mind straight away. But the reality is that most of the city is well policed and very safe to walk around in. Does street crime exist? Of course. But in the main central and tourist areas of Panama City, it’s no different from being in any first world metropolis. Elsewhere in Panama, it’s a mixed story. The countryside is generally safe, but other cities can be bad. 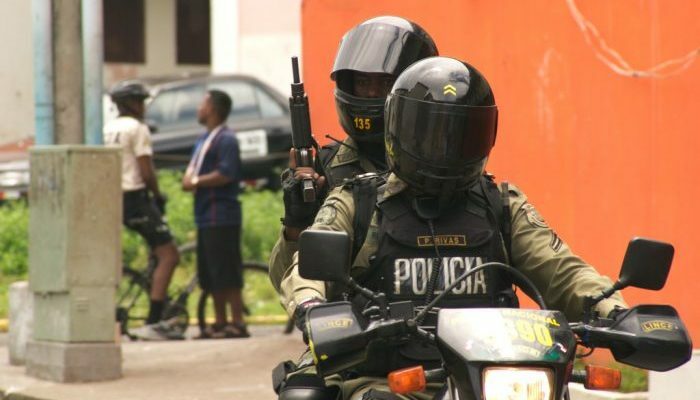 The city of Colon on the Caribbean side of the Panama Canal is very dangerous and a no-go zone. Not that there is any possible reason to ever go there anyway. David in the western province of Chiriqui is very safe. Tourist areas like the Bocas del Toro suffer from the same tourist problems as any tropical beach towns. They are quite safe as long as you remain alert. Panama has some very remote parts of it too, which you will more than likely never visit. The northern coast along the Caribbean between the Bocas del Toro and the Panama Canal, for example. This region is desolate and populated by indigenous villages and the odd fisherman. The remoteness of this area makes it attractive to narco-traffickers bringing drugs up from Colombia. The same situation occurs down in the Darien Gap, which is why this area is dangerous to be in. Outside of that, Panama is not a problem to visit. Tropical diseases exist like everywhere else in the region. Panama has a generally decent standard of healthcare if you should so need it. The roads in Panama are also good. Driving outside of the cities is a pleasure. Driving in the city is never recommended if you can help it.